The Ultimate Car Application that brings to you the roaring sounds of the fastest, meanest, most powerful 4x4s, Trucks and SUVs from around the world! Experience the thundering sounds of some of the fastest, most exclusive 4×4 cars in the world! 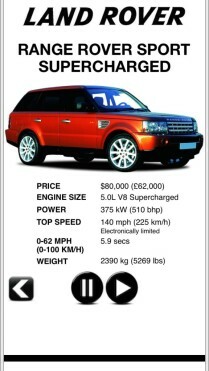 Listen to over 90 different 4×4 cars from the Porsche Cayenne Turbo to the BMW X6 to the Range Rover Vogue! 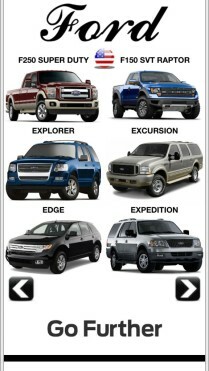 Any 4×4 car you can think of is just a tap away! This is truly the most epic car engine sound experience on your iPhone! 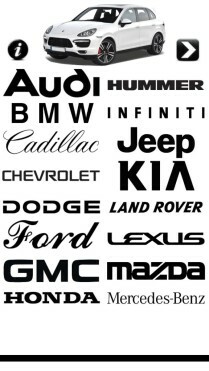 A superb collection of brands including Audi, BMW, Cadillac, Ford, Hummer, Land Rover, Mercedes, Porsche and many more! 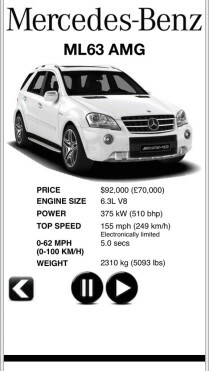 Experience Sports Car Engines 3: 4×4 for yourself and see what all the fuss is about! Try it now for free! 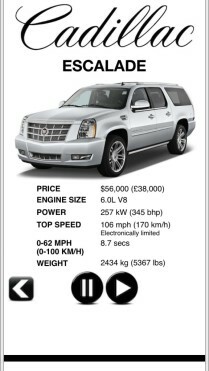 Great app, tons of vehicles and great sounds! Awesome – This is the best app ever along with the other two!